Even if you are a health-conscious person you may not be immune. You may buy organic food, exercise regularly, and maintain your inner peace. You may be tempted to believe you are living an exceptionally healthy life, but chances are you have blind spots that keep you from optimum wellness. Here are common mistakes that even the most health conscious people make. I’m not talking here about popular brands of fruit juice that may bang on about being healthy, but often are made up of water, sugar and fruit concentrate. Or worse, they just contain chemicals, which taste like fruit. Even though it has some health benefits and drinking in moderation is fine – as juice can be an excellent provider of vitamins and minerals, and helps to cleanse the body. But drinking too much natural juice has also drawbacks, as juice can be extremely easy to over-consume. It contains a lot of sugar that causes a rapid spike in blood sugar and unstable blood sugar levels, and has very little of the fiber that real fruit does. For example, one cup of orange juice contains 0.5 gram of fiber while a cup of fresh raw orange has 4.3 grams. Not reading labelsIt’s easy to see a food product that says ‘healthy’ in big, bold letters and assume that it is, indeed, healthy. Food companies would never lie, right? Wrong. Some shameless companies who market our food want even the health conscious among us to believe their food is healthy. However, even if they add small amount of healthy ingredients to their food, it doesn’t make it is healthy. Not when the food product is largely made up of chemicals and ingredients that we can’t pronounce. Don’t fall for words on the front of the product, like, ‘low fat’, ‘contains whole grain’, ‘omega 3.’ Check the label on the back of the food product to see if that’s actually true, so you know exactly what you could be eating. It is important that we stock up on our protein intake if we want to keep our bodies in tip-top condition. According to the official nutritional daily intake, we should aim for about 56 grams per day for men and 46 grams per day for women. You should get at least 10% of your daily calories, but not more than 35%, from protein, according to the Institute of Medicine. Choose healthy sources of protein like chicken or lean steak, but remember that not all protein comes from meat. Your parents, (or indeed you), may remember back in the 60’s and 70’s when it was widely publicized that saturated fat was bad for you and a leading cause of heart disease. Consequently, a high carb, low fat diet was recommended to all Americans. However, now there are different voices claiming that a low-fat diet isn’t so effective or good for you and doesn’t make you lose weight, or reduce your risk of heart disease and cancer. It is believed that the healthiest way to eat to is to consume 5-6 small meals a day. Eating a nutritious and filling breakfast supposedly jump starts the metabolism and then eating regular small portions throughout the day keeps the metabolism going. However this method of eating so many meals a day can be tricky for some people, as it is easy to consume too much food. It is in fact how much food we eat in a day that determines weight gain, rather than how many meals we eat. 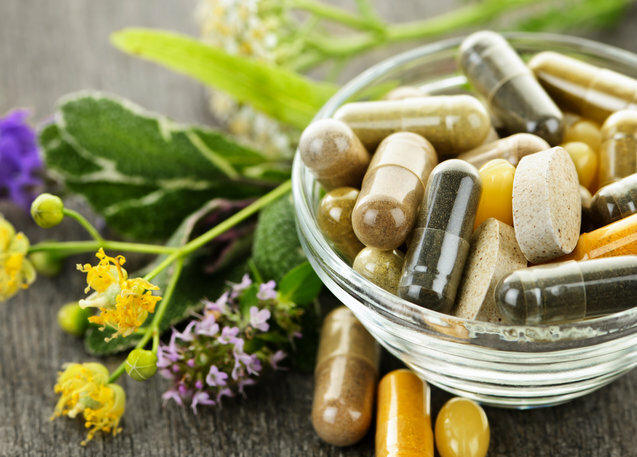 When we try to regain our health, it can be tempting to turn to natural supplements to help us. They can be effective and work faster than conventional treatments when the supplements are high quality. However, supplements are not necessarily a cure, and nor do they necessarily address the root of the problem. They should be taken if there is a real need for them, such as in cases of nutritional deficiencies or helping to fight certain conditions.